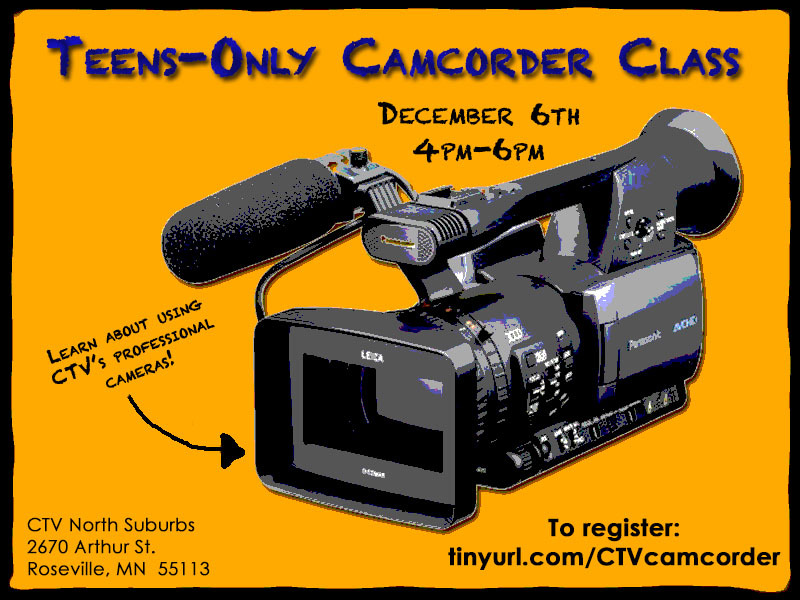 CTV will be offering a camcorder training class just for teens on Thursday, December 6th from 4pm-6pm, which wil get you on the path to being certified to check out cameras from CTV for your own media projects. This class is free and you’ll learn everything you need to know about using CTV’s equipment, so don’t miss the opportunity! If you’re interested, go ahead and sign up here, or email asterling@ctvnorthsuburbs for more information. Next Next post: TCYMN Youth Media Market & Screening: Feb. 16 @ Intermedia Arts!